Cascara Vacation Rentals focuses on helping you, as a property owner, maximize value and maintain a level of quality your guests will never forget. Schedule a home consultation today and learn why Cascara Vacation Rentals has become one of Sunriver's most recommended local vacation rental companies. Why choose Cascara for your Vacation Rental Property Management? When choosing a property management company for your home, it’s important to know they will care for it as much as you do. Entrusting others with your home away from home isn’t always easy. At Cascara, we understand that. Our staff has been managing and maintaining homes in Sunriver since 1983. Working with such a well established group that truly knows Sunriver and is open-minded, flexible, and willing to adapt to the needs of each homeowner is what sets us apart. We have always been innovators, and pride ourselves on our ability to stay a step ahead of the ever changing rental market and maximize the potential of every home we manage. Unlike other rental companies, we understand that the needs of all homeowners do not fall under one umbrella. We welcome the opportunity to explore your individual needs. Our interest is to make our homecare work for you. If there is a different way to make things better for you and is mutually beneficial, we can build it in and make it work. We are always up for a challenge as well as changes with new ideas created from your input. You will note that our rental contract offers many amenity options. You decide what your home will offer and we will administer the choices for you. Our well-trained reservation team knows what it takes to sustain a high level of rental activity in the homes we manage. We know it is better to focus on your annual income rather than nightly rental rates. We make reservations to the right people, at the right time, at the right price. We won’t rent your home to just anyone. Our conversations with potential renters are not only to find them the perfect place, but screen them before they rent. We check histories of past stays for proper placement and ask questions to help them match their needs. If we ever have our own questions, we will even check social media to insure their character meets our requirements. Each renter must sign a rental agreement accepting responsibility for any accidents or damages that occur while staying in your home. You can rest easy knowing your home is well protected. Marketing is in a new age, ours is second to none. We contract with a local SEO company who constantly monitors our search engine placement, contextual advertising, banner ads, associated links, and much more. Google Analytics also gives us many valuable insights on the industry, from the Pacific Northwest and beyond. We also market collectively with major state and regional tourism organizations, and use multimedia channels such as radio and TV ads, mailers, postcards, magazines, and online channel partners. Our software allows us to maximize earnings with yield management and rate rule logic that changes nightly rates in real time, increasing earning potential. Our social media is monitored daily. 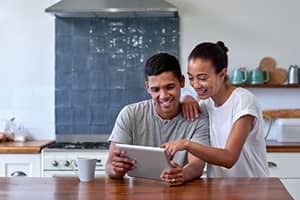 From Facebook and Twitter to Pinterest and Instagram, we engage our renters where they are with information, updates and some fun along the way. Our website, CascaraVacations.com, is very user friendly and kept current with updates and information. We know exactly what it takes to be successful in every area of the tourism industry. Our management team is right here in Sunriver seven days a week and always available. Home management demands well-trained, local, motivated teams that are capable of performing at the highest level of service. Our guest services, housekeeping, inspections, security and 24/7 emergency maintenance teams are permanent employees. Unlike other companies with a high staff turnover, we train and retain qualified people that meet our criteria and believe in our mission to provide the best in quality home care. While there will always be some level of human error, we accept responsibility for our staff and welcome feedback if there is an oversight so that we may correct it in the future. We have found that sustaining good quality employees is an important reason why our renters are fully satisfied the moment they walk in your door. At Cascara, we understand the importance of keeping homeowner costs as low as possible. That’s why we offer our commercial linen program to you absolutely free! 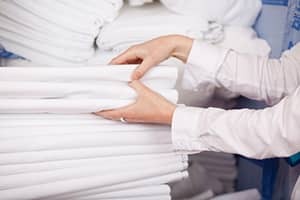 We guarantee professionally laundered, high thread count linens are placed in your home at each cleaning. They are laundered, inspected, and packaged for delivery to your home from our commercial facility, saving wear on your washer and dryer and saving on your utility bills. You never have to replace soiled or threadbare linens for your vacation home. Some owners choose not to rent out their vacation home at all. In their absence, though, they need someone to check on it to make sure the property is secure and well kept. That’s our job. We’ll check on your home every week and more when conditions call for it to make sure all is well and contact you if there are any issues. For more information, call Cascara Property Services Toll-free (800) 531-1130, locally at 541-593-1398. Carpets get dirty no matter what. With guests visiting, the snow and dirt, and general traffic in a home, cleaning the carpets becomes a necessity. Cascara is partnered with Sunray Carpet Cleaning with their top of the line carpet cleaning equipment and pro professionally trained staff to clean the worst of the worst of spills and soils to keep the carpets looking fresh and new. Visit www.sunraycarpetcleaning.com or call Sunray Carpet Cleaning today! Toll-free (800) 531-1130, locally at 541-771-2201, or send us an e-mail at [email protected]. Our cleaning management, inspectors and staff has been providing top tier home cleaning in Sunriver for a very long time. This helps put our cleaning routine a step above other cleaning companies here in Sunriver. With our flexibility, we welcome special cleaning requests that you may have for your home that may be different from others.